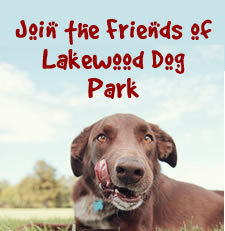 The Friends of the Lakewood Dog Park, (originally named FIDO), was founded in January 2002 as a citizen’s group helping to bring a dog park to Lakewood in the belief that such a park would enhance the livability of Lakewood as it has for other communities nationwide. Now that the park has been constructed, the group is continuing to work with the city to improve and maintain the park. The group worked closely with Mayor Tom George’s administration in planning the renovations carried out in early 2004. These improvements included a new gravel surface which eliminates mud problems and a new walkway to the park’s entrance. Friends provided a substantial part of the funding for these improvements. 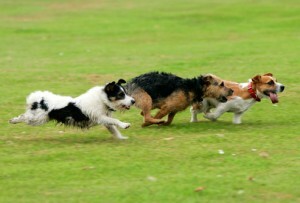 The idea for an off-leash dog park originated during the election campaign of 2002. Councilman Denis Dunn and Councilman Mike Skindell (now a state representative) gathered a group of interested citizens who coalesced into an organization chaired by Lakewood residents Brittany O’Connor, Shelly Gould Burgess, and Whitney Callahan. They chose the name FIDO (Friends of the Ideal Dog-park Off-leash). In the months that followed, the group collected hundreds of signatures and lobbied the Council in support of the park, as Councilmen Dunn and Skindell spearheaded the effort within the Council. After much discussion about location, the City agreed in the fall of 2002 to construct the park at its present Metroparks site, seven-tenths of an acre in area, just across the bridge from the Marina. The City and FIDO agreed to share the expense of the project, which covered fencing, grass seeding, installation of the water fountain, and “mutt-mitt” dispensers. 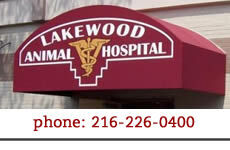 FIDO raised $15,000 to help. The park was opened on June 27, 2003, and soon proved to be one of Lakewood’s most popular parks. One big problem appeared. The constant wear on the grass surface wore it down to bare dirt which soon turned into mud when the rains came.